We live on a dynamic, living planet. Land shifts. Seas rise. Volcanoes erupt. Storms rage. Snow melts. Plants grow. Cities expand. These ever-changing, interconnected systems affect all life on Earth, and the planet itself. 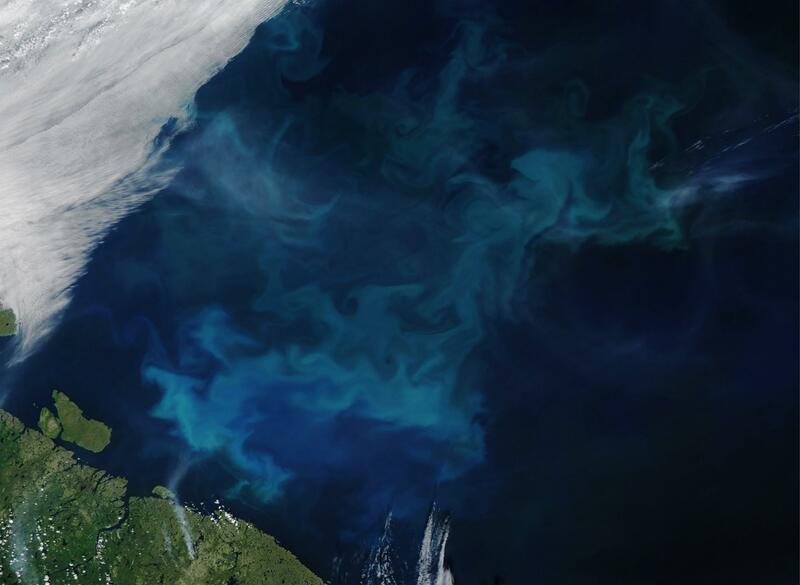 The Moderate Resolution Imaging Spectroradiometer (MODIS) on NASA’s Aqua satellite acquired this natural-color image of plant-like organisms called phytoplankton in the water off Norway and Russia in July 2018. To learn more, visit NASA’s Earth Observatory website. To understand these natural and human-caused changes, NASA’s Earth Science Division uses unique global observations from space, air, sea and on land. This data enables informed decision-making for agriculture, water and food security, urban planning, disaster preparedness and response, transportation, climate and weather, and myriad other things that benefit life on Earth. Among the Earth systems ESD studies from space are: dust storms, volcanoes, flooding, coral reefs, night lights, sea surface salinity, wildfires, vegetation, urban growth, food production, mosquito tracking and other human health issues, precipitation across the world, hurricanes and typhoons, soil moisture, land and sea ice, and changes to the land and sea surfaces. NASA scientists use data from the Visible Infrared Imaging Radiometer Suite (VIIRS) on the Suomi National Polar-orbiting Partnership (NPP) to create composite images of Earth at night, from cities to hemispheres. 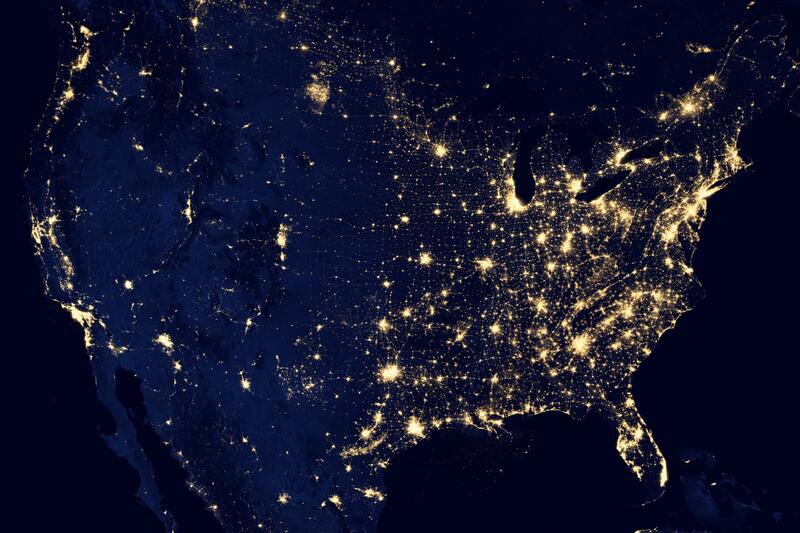 To learn more and see images from around the world, visit NASA’s Earth and Night online. Long-term missions such as Landsat, which is operated by NASA in conjunction with the U.S. Geological Service (USGS), have given us decades of data and information about how the Earth is changing. Landsat missions, in fact, first launched in 1972, have provided the longest continuous global record of Earth’s surface ― and the trend will continue with the launch of Landsat 9, scheduled for 2020. The instruments on NASA missions frequently are used to measure several things. For example, VIIRS (Visible Infrared Imaging Radiometer Suite), just one of five instruments on the Suomi-National Polar-orbiting Partnership (NPP) satellite operated by NASA and the National Oceanic and Atmospheric Administration (NOAA), measures clouds, ocean color, Earth’s surface temperature and fires ― among other things. VIIRS observations can track Earth changes from phytoplankton algae blooms in the sea, to fire and ice on land, the city lights that blaze in the night, and the quality of our air. NASA also conducts a variety of airborne missions that give researchers another perspective of Earth, supplementing and validating satellite imagery. Operation IceBridge, for example, tracks changes in polar ice, glaciers and sea level during its flights. The data collected will help scientists to bridge the gap in polar observations between NASA's Ice, Cloud and Land Elevation Satellite (ICESat) ― which operated from 2003-2009 ― and ICESat-2, which launched in September 2018. Operation IceBridge began in 2009 and is currently funded through 2020. To see NASA’s Earth Science missions past, present and future, visit the Missions Page. Flight mission development -- from advanced concept studies, to flight hardware development, to on-orbit operation -- is managed within the Earth Systematic Missions (ESM) and Earth System Science Pathfinder (ESSP) programs. ESM includes a broad range of multidisciplinary investigations aimed at developing a scientific understanding of the Earth system and its response to natural and human-induced forces, by implementing ESD strategic missions, including most of the missions that provide additional sustained measurements, such as land imaging and climate continuity. ESSP implements low- to moderate-cost research and applications missions that foster revolutionary science and train future leaders in space-based Earth science and applications. This program includes the Earth Venture missions recommended in the decadal survey. The ESSP program also includes operating missions that were competitively selected and follow-on missions. Two documents guide NASA’s overall approach to Earth science studies: the 2007 and 2017 Decadal Surveys for Earth Science and Applications from Space by the National Academies of Sciences, Engineering and Medicine (NASEM) and NASA’s 2010 climate-centric architecture plan. Coupling of the water and energy cycles. Extending and Improving Weather and Air Quality Forecasts. Reducing Climate Uncertainty and Informing Societal Response. Surface Dynamics, Geological Hazards and Disasters. NASA’s assessment of the 2017 Decadal Survey is ongoing and will be informed by questions raised by scientists, industry and the community. Two documents guide NASA’s overall approach to Earth science studies: NASA’s 2010 climate-centric architecture plan and the 2007 and 2017 Decadal Surveys for Earth Science and Applications from Space by the National Academies of Sciences, Engineering and Medicine (NASEM). “With this plan, NASA’s Earth Science program will substantially advance science, expand applications, and address national information requirements for near-term policy development and future evaluations of policy efficacy,” the report explained. The plan reflects the need to collect key climate monitoring measurements ― which are critical to informing policy and action, and which other agencies and international partners had not planned to continue. The plan also accelerated key decadal survey recommendations to address the nation’s climate priorities.